I wish you all the happy new year. May your 2015 be full of health, happiness and joy! 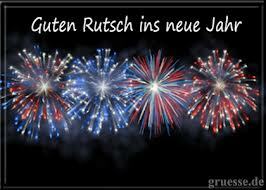 In German: Ich wünsche Euch ein glückliches, gesundes und frohes neues Jahr 2015!